Your network plays an essential role in how efficiently other IT resources are connected, utilized and secured. That’s why the network should be addressed in the early stages of your cloud design. But too often, a network plan is tacked onto an all-but-completed cloud solution. The result: a cloud solution that delivers less-than-optimal business value. 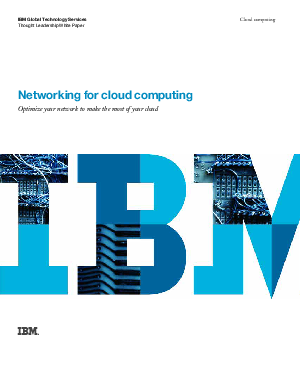 Read this white paper to learn about the potential networking ramifications of various cloud deployment models and learn how to meet these challenges head on.